Are these found in your organization? This is an interesting concern for having a successful business. If you're a solo entrepreneur with just a few clients and no real ambition to grow, then your email and contact applications will probably get the job done. Most business want more than that, a lot more. It can be a little bit tricky to know whether your business activities really warrant the investment into a real CRM system - you ask "What is CRM and Why is it critical to business success". 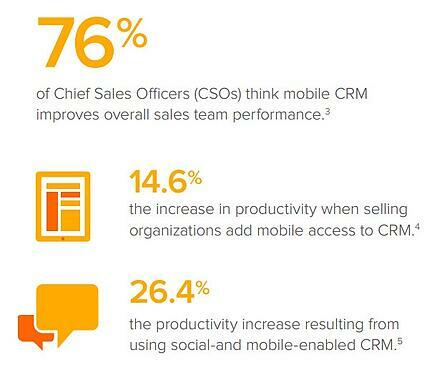 Another concern we hear is, when should a business upgrade from basic contact management to a fully capable CRM. We have split these signs into two groups: Leading Indicators and Lagging Indicators. The leading indicators are the early signs that you're outgrowing your current processing system and should start considering a CRM. The lagging indicators mean you've already outgrown your processes and are probably losing money because you're not keeping up with your current clients and prospects. Opportunities are not getting captured and decisions are slow and not fully informed. Leading Indicator 1: You have more than one employee interacting with customers. One of the biggest wastes of time is when two different employees speak to a customer about the same issue. This is true in sales just as much as it is in customer service. Making a customer or client explain their situation more than once is bad on two fronts: it's a drag on your company's resources and hassle for the customer. How many times have you been frustrated when you call for service and you'd swear no one in that company seems to know what is going on. Certainly they must not have an integrated CRM system! Leading Indicator 2: You are heading out to a meeting with a prospect or a key customer and half-way thereyou forget the name of the person your meeting. You had to call back to the office to have someone else look it up. Or you tap your smart phone but the appointment is incomplete- no contact name or critical notes from past conversations are linked. As the number of your contacts grow it gets exponentially harder to remember their stories, names, histories, and the details of your interactions together. If you're starting to have a hard time keeping track of it all, it's not going to get better as you grow (or get older). Leading Indicator 3: You've got 5 or more Excel spreadsheets stored on the network but only one person at time can update the contact information. You can hear people holler in the office when they are done editing it so others can update it. Better yet is that you have 7 different colors indicating different things. Excel has become the default tracking option with multiple worksheets formatted several different ways. Key point- Excel is for holding static information. It is for single user access. It is not a relational database that links all kinds of information. Wouldn't it be much better to view live, up-to-date information, click to sort and filter information? To generate a list of key 'service' accounts for a sales region. Then if you really needed to use a spreadsheet you quickly export data to Excel. Leading Indicator 4: This really scares business owners. A salesperson leaves and all their commitments and contact information is whisked away. His replacement has to start from scratch, building a totally new relationship and cannot pop open notes and view past history of conversations. Turnover is a huge disruption to any business. But in sales it's way worse. Relationships and trust are hard-won over time, and when a new person comes into an account, it will take some time to build a new relationship. But that doesn't mean the new sales rep should be starting from scratch. When an employee leaves and all the information about his clients leaves with him, you've got a problem. That's no problem in a one-person business, but once you have employees, you need to have a way to transfer that customer information from one employee to another. Leading Indicator 5: You made a follow-up call to a prospect, only to find out that someone else from your company called her earlier that day about the same issue. Some businesses have a notes sheet to track who's been talking to whom and when, but a system like that is never accurate in real time. Even if someone goes back and enters notes about interactions, it might take a day to get everything entered. In the meantime, you're wasting time calling people who've already been called, and your customer is wondering why you and your employees don't talk to each other more internally. 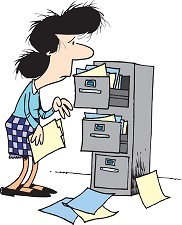 Leading Indicator 6: You have any of your customer or prospect data stored in a physical filing cabinet. No easy digital access is available. You have gigantic filing cabinets and it takes way too long to find useful information plus the information is old and probably inaccurate. It's one thing to have an archive of that stuff. But if you're tracking your current prospect data by hand and filing it away, there's no way you'll be able to quickly retrieve prospect information. And the more you grow, the more time you'll waste trying to maintain the system. Leading Indicator 7: You get scared when trying to determine when and where new revenue is coming. There are only inaccurate spreadsheets or call reports that show what new sale opportunities 'may be' on the horizon. Hope is not a strategy. The sales cycle is getting longer and precious resources are spread too thin by tracking down unqualified opportunities. Or you'd love to have an estimate of how much money your team is currently trying to bring in, and how much your deals will make in the long run, but you have no way of getting to that number. Those with successful CRM systems have a set of sales processes that move opportunities through the pipeline, that optimize sales performance and give you a better sense of future revenue. Leading Indicator 8: Your customers service issues keep reoccurring and taking to long to resolve. You don't have a process to identify key characteristics of a service or support issue so you can determine patterns. You can't see how an issue was actually solved so the next time it happens the whole analysis and resolution process starts all over again - lost productivity occurs. Remember indicator number 1 - frustration and poor customer experience? Leading Indicator 9: Your mobile phone has more useful information then the main company database. We see this all the time when a new client engages us to setup a CRM system. The company database just has basic customer information and only a billing contact. But the sales rep smart phone contains information that could run a successful, small business. These phones have updated lists of contacts and important conversations to be shared. If this mobile data was synchronized back and forth with the main company database, imagine how it could help the office run more effectively. Start having smarter conversations with more people. Less frustrations finding quality contact information. Better marketing results using more accurate emails and focused educational content that matters to your prospects. 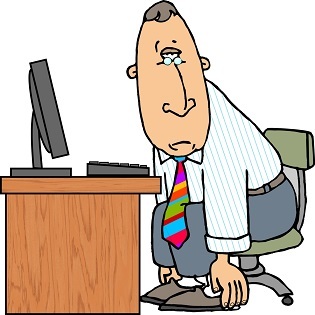 Leading Indicator 10: Sales Reps are filling out call reports into Excel 5 days too late with incomplete information. It is taking 4 hours out of their selling time each week. Notes are haphazardly entered and important info is not shared with management - so smarter decisions cannot be made in a timely manner. With a CRM system in place we have helped management remove the need for reps to create these call reports. All management has to do is view their sales management dashboard that will show completed activity, new opportunities, closed won/lost opportunities and similar metrics. While the sale reps are out in the field they can type or talk into their smart phone or tablet, move that opportunity up to the next stage and update closed opportunities. No more rekeying in information for a call report for sales management.